10th Ever L.A. Old Time Social Kick Off Party! 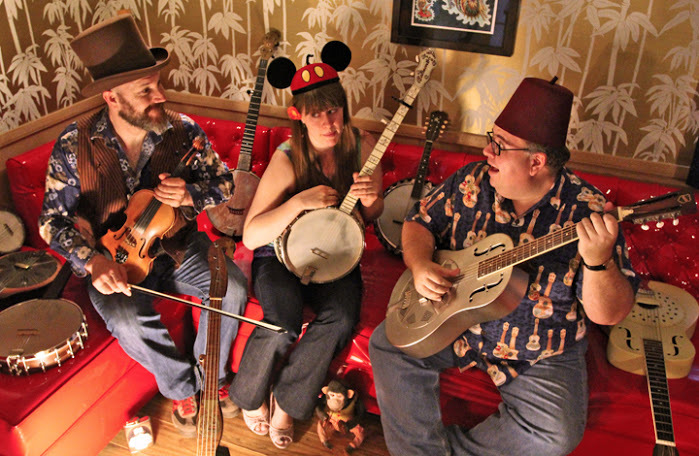 Sausage Grinder, Los Angeles’ all-natural hillbilly and country blues band, combines the traditional sounds of fiddle and banjo breakdowns with the low-down sound of country blues, topped off with a touch of ragtime and hillbilly jazz. The versatile acoustic ensemble features fiddle, banjo, guitar, mandolin, jug, washboard, and a few odds and ends. 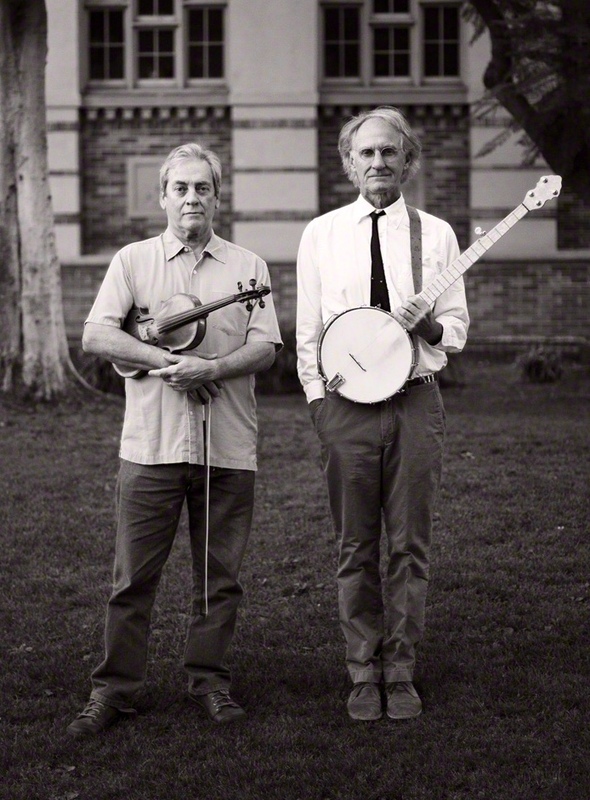 Tom Sauber and Tom Carter have been playing old-time southern fiddle and banjo together since the early 1970s. Both first learned from the New Lost City Ramblers, but each in their own way pushed further into the music. Sauber grew up and lives in Los Angeles. In addition to playing in numerous bluegrass and old-time bands–current bands include Loafer’s Glory with Herb Pedersen and his son, Patrick, and Tom, Brad, and Alice, with Brad Leftwich and Alice Gerrard–he received a MA in folklore from ULCA where he researched and recorded the fiddle and banjo music of southern transplants like Earl Collins and Eddie Lowe. Tom is an excellent fiddler and singer, and teams here with his banjo playing friend, Tom Carter. Carter took more of an academic route through the music. After leaving his native Salt Lake City for college in the East, he ended up studying the traditional string band music of the southern Blue Ridge while a graduate student in folklore, first at the University of North Carolina and then Indiana University. While in North Carolina, he played banjo and recorded with the Fuzzy Mountain String Band, as well as producing a number of LPs that introduced everyone to the music of Emmett Lundy, Luther Davis, and JW Spangler. Carter now lives back in Salt Lake City, but the two Toms get together and make music whenever possible. No catchphrases…..just the real deal. 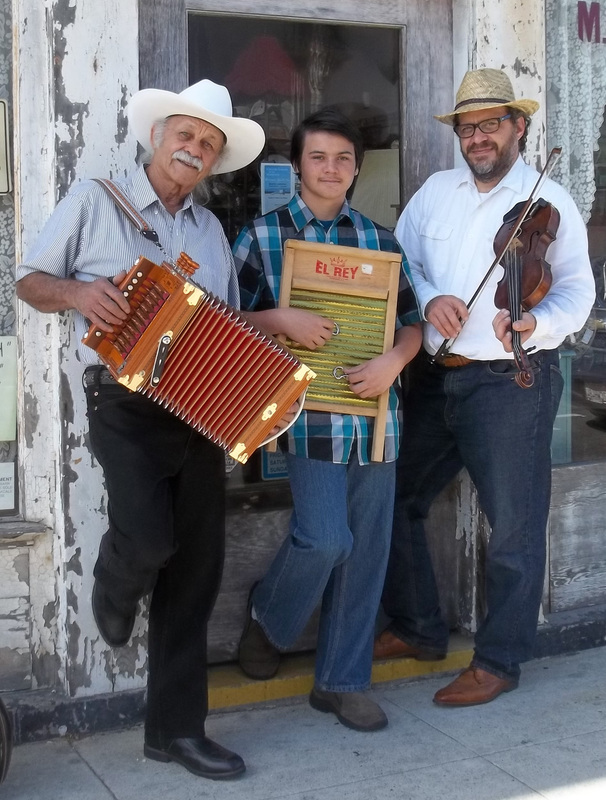 The Fontenot Cajun Creole Band plays for the love of traditional styles of the music of our culture. The group has sprung up from get togethers in Mr Joe’s back room over strong coffee, laughs , and pots simmering on the stove. We play because we love the music and our culture. Many Louisiana creoles came to the west coast for work after the war and formed communities in Los Angeles and San Francisco. Mr Joe “Sands” Fontenot, on accordion, was born outside of Mamou and raised in L’Anse Grise, Louisiana and moved to Los Angeles seeking work. He brought his music with him like many creoles. In the tradition of Danny Poullard in the bay area and Joe Simien in Los Angeles, Mr Joe carries on the tradition of practicing and keeping the culture alive by playing and extending the music to those that come and sit with him in that practice room at the back of the house. Just like those before him it is all about the feel of the music and passing it on by ear. He will be the last to tell you but his relations are strong in the french creole music tradition as his cousins continue to play on stages and festivals back home. Guy Martin, on fiddle, was born in New Orleans to a creole mother who spoke french first. He spent time in his early years listening to his Avoyelles Parish born creole grandfather play the fiddle as well as learning Louisiana French from his family. In college he was fortunate to have his ears seasoned on the live playing of Dewey Balfa as well as Steve Riley and the Mamou Playboys while working at Mulatte’s cajun restaurant. He feels lucky to continue playing tunes under the guidance of Mr. Joe. Carolyn Russel brings her depth of experience and feel of playing with Wilfred Latour and Joe Simien internationally. She was instrumental in bringing much of cajun and creole music to Southern California. This entry was posted on Saturday, March 7th, 2015 at 10:57 amand is filed under . You can follow any responses to this entry through the RSS 2.0 feed. Both comments and pings are currently closed.